For the past few weeks, I’ve had a KTM Freeride 350 in my garage—a press bike on loan. The most striking thing about the KTM is its weight, which is a smidge under 100 kg (220 lbs). My own Moto Guzzi V7 Classic is no heavyweight either, at 182 kg dry, but the KTM feels like a toy in comparison—in the best possible way. 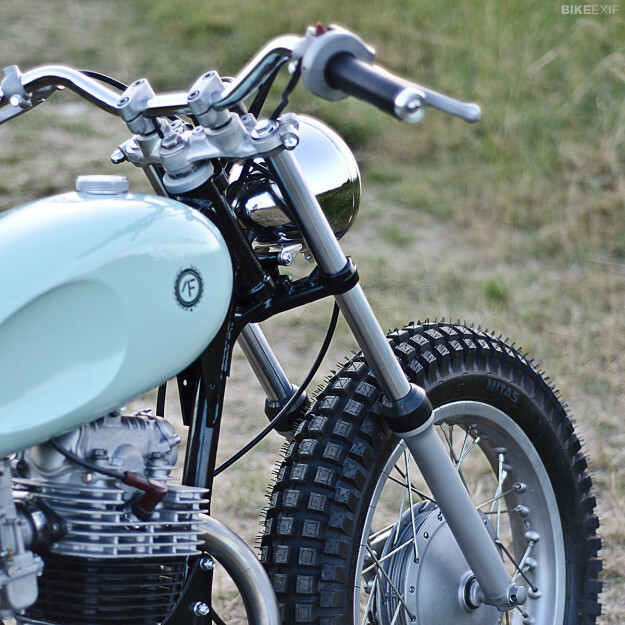 Having been introduced to the delights of riding a superlight bike, I cast my eye over this new build from Auto Fabrica with interest. 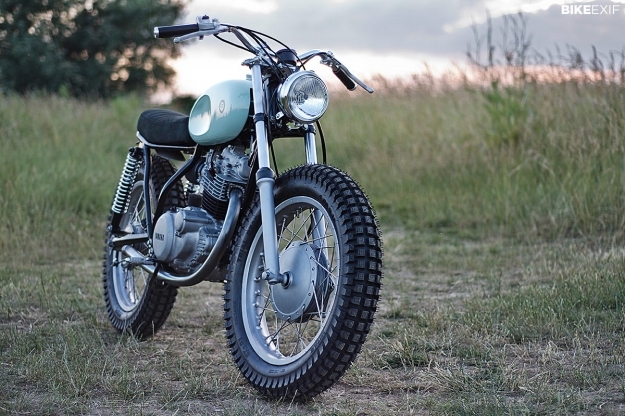 It’s based on a Yamaha SR250, and almost certainly weighs less than the 130kg of a stock SR250. Which can only mean one thing: it’s easy and fun to ride. Auto Fabrica are based in the unlikely location of Southend-On-Sea, a resort town sitting on the Thames river, east of London. 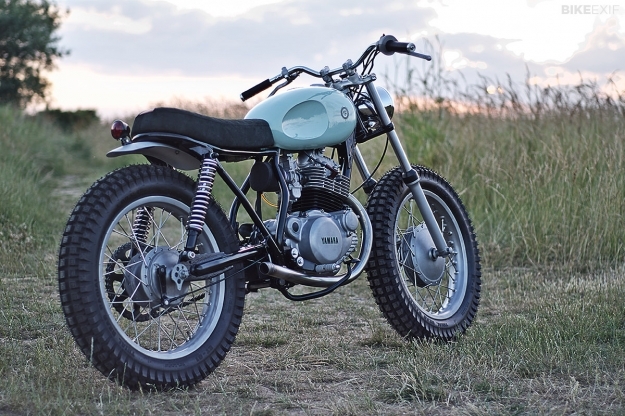 Shop boss Bujar Muharremi and his crew have a passion for SR250s, with this being their fourth build. 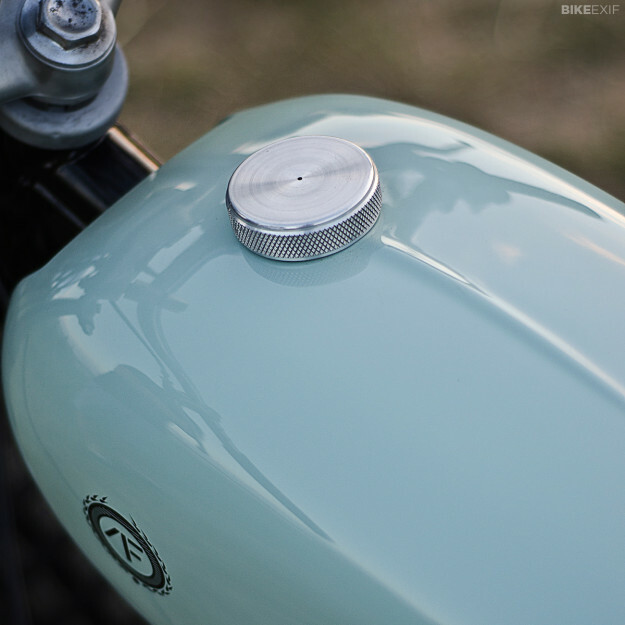 The focal point of the build is the aluminum tank, which was fabricated in-house. “We reduced the visual weight by making it shorter than OEM, but with a bit more roundness to match the lines of the engine. 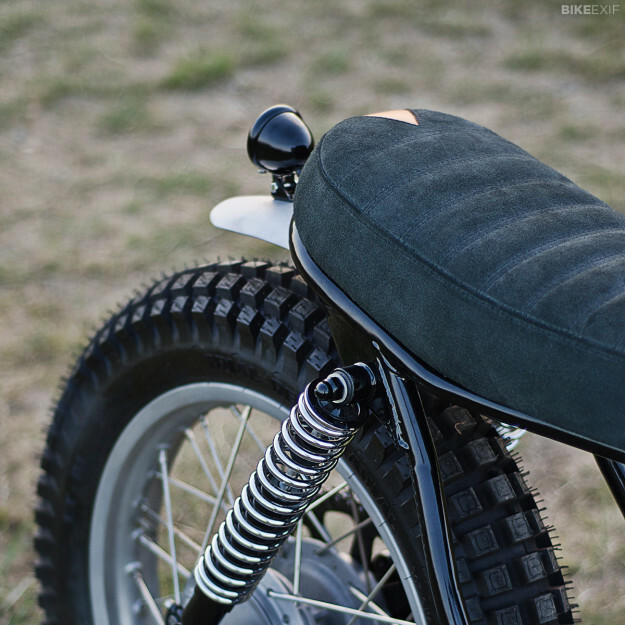 It means that the seat can be relatively thick without dominating the tank.” The fabrication is first-class, with scalloped knee indents on the tank and a black suede seat covering, complete with a little orange triangle to give a hint of color. The engine was dispatched to legendary tuner Bob Farnham for a full rebuild with new piston and rings. It came back with a slightly bigger bore and a gas flowed head, and was promptly hooked up to a custom stainless steel straight-through pipe, also created in-house at Auto Fabrica. 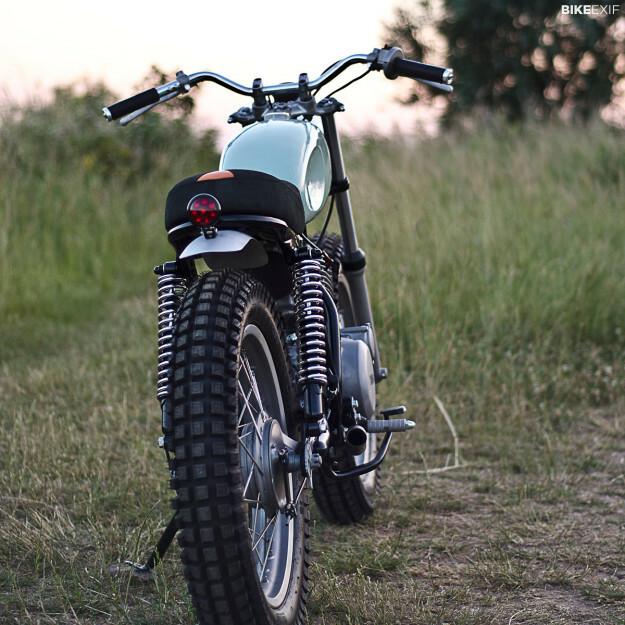 “The bike is extremely fun to ride, due to its light weight and small size,” Bujar reports, and I don’t doubt him for a second. The classy looks are just the icing on the cake.